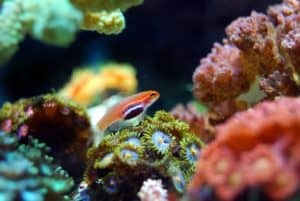 Fish keeping in aquarium could be very rewarding. The vibrant colorful pets swimming around your living room soothes nerve and uplifts your mood. But maintaining and keeping up with it is a whole different story. 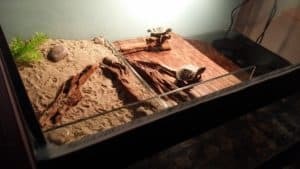 One of the most crucial and strenuous part about keeping an aquarium is the whole cleaning aspect of it. And although you have filters to do the job for you, they always end up disappointing most of us. 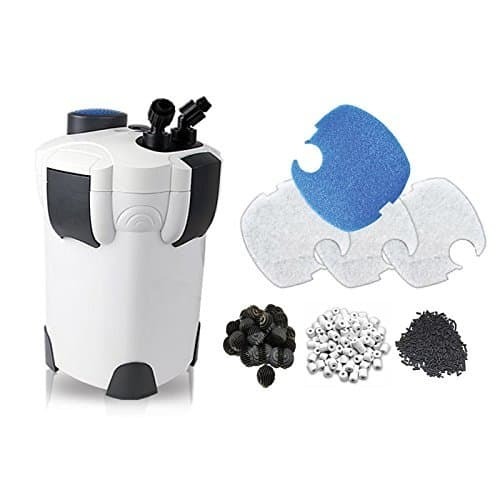 But the SunSun-China HW-304B 5-Stage External Canister Filter has been making quite the rounds among fish keepers so we obviously wasted no time reviewing it. And, well, you will be surprised. If you were looking forward to purchasing the SunSun-China HW-304B 5-Stage External Canister Filter, then take a few minutes to through our detailed review on it. It is full of details and surprises we bet you didn’t hear of. Ready? Let’s get this started! What is the SunSun-China External Canister Filter? The SunSun-China 5-Stage External Canister Filter is an aquarium filter – nothing more, nothing less. Nothing to stretch here. It is a machine that is used to clean the dust particles and organic compounds in aquarium waters to prevent unwanted water pollution, algae growth and keep down the Ammonia & Nitrite level to zero. But so does all the other filters in the market. How does the SunSun External Canister Filter compare? The SunSun-China HW-304B is an external filter which means it is made to be installed outside of the aquarium and water. It is made with decent quality materials which feel reliable and sturdy enough to get the job done. On top of this, it comes with several ‘add-ons’ and ‘attachables’ which make cleaning much more efficient and precise. Weighing in at just 14 pounds and measuring 11 x 11 x 17 inches in dimensions, may not be the most lightweight or compact machine, but it is still fairly so compared to some of the other external filters out there. Ah yes. The single most important feature about the whole filter. And let’s just say you won’t be disappointed! The SunSun-China HW-304B 5-Stage External Canister Filter uses not one or two, but 5 different and varying stages of filtration. Each process cleans and “sifts” the water a step better and differently which ultimately leaves the water cleaner, more hygienic and fresher so that you aquatic life flourishes in there! It has 4 baskets to load with filtration media as per your choice. Sunsun includes some filter cotton, bio-ball and ceramic rings with the package. But they are not adequate to fill all the 4 media baskets. You need to buy some more filter media separately. Disappointing, I know! But you have a wide range of options to select from. For the first chamber we suggest to go with foam or synthetic cotton. That will do the mechanical filtration part. In fact you can use a layer of synthetic cotton in all the chambers if you like. It’s a good way to protect the biological filter media from getting clogged. Use the second and third layer for biological filtration. Using bio-ball in the second chamber and ceramic rings or crashed lava rocks in the third will give you great results. Last chamber can be used for chemical filtration or some more biological. If you are running a planted tank and doing fertilizer dosing for the plants then it is advisable to avoid charcoal or activated carbon. Because carbon will absorb the nutritional elements from the water column. 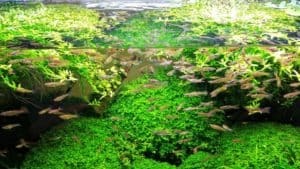 In a fish only tank activated carbon works like charm to remove odor and pigmentation of water. Downside is you need to replace the carbon every three months. Otherwise it will start releasing the absorbed chemical back into the water. For a planted aquarium you can use Seachem Purigen which works like magic to keep the water crystal clear. And the best part is unlike activated carbon it is regenerable. But the most unique feature about the SunSun Canister Filter, and probably our most favorite also, is the built-in UV sterilizer! Yep. You read just right. 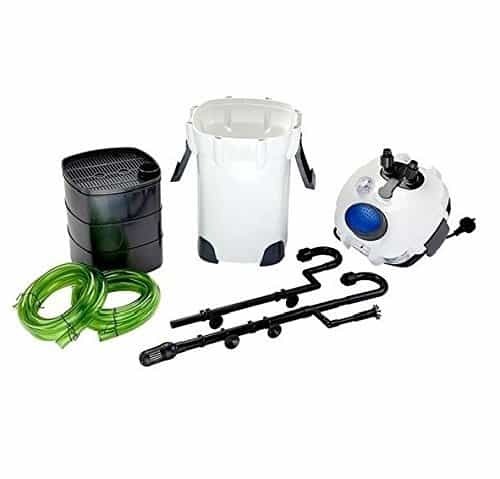 This filter includes a built-in 9 watt UV sterilizer which furthermore goes on to ensure that there is no unwanted microorganism in the water column. The UV sterilizer control algae spore and bacteria manifestation for a fresher and safer water. Having said that, there have been complaints of the UV sterilizer being too invasive when left on for too long. But that is totally preventable if you are a little careful, right? Don’t be a couch potato. One of the downright most annoying by-product of a filtration system is the noise. Some of them make the ears bleed! Well, not literally! But it is very tough to come across a canister filter that won’t scream. The SunSun-China HW-304B 5-Stage External Canister Filter on the other hand is one of the rare few. While it does make noise, but it isn’t all crazy like most others. You will have to be incredibly close to the filter to be able to hear something. The SunSun-China HW-304B 5-Stage External Canister Filter has a fairly impressive capacity power. 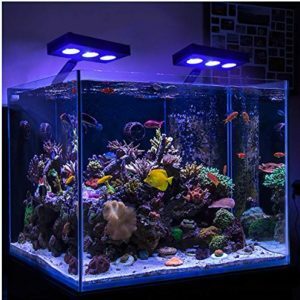 It is powerful enough to filter through 130 to 150 gallon fish tanks. As for the flow rate, it circulates 525 GPH or 2000 liters per hours. Compared to the other canister filters the power head is pretty awesome. After loading the trays with filter media the flow rate will decrease to some extent. And as time goes by the filter media will be clogged, as a result the flow rate may decrease further. To avoid this, you should wash your filter media once per month. Remember one thing while rinsing the filter media – never use tap water to wash it. Use the tank water instead for cleaning purpose. Sunsun-China doesn’t come with flow rate control in the outlet nozzle which could be a little disappointing. Though you can adjust the nozzle direction to get maximum circulation coverage inside your aquarium. Like some other canister filters it has an option to use the surface skimmer with the inlet pipe which is quite nice to keep the water surface dust free. Sometimes thin oily layer forms on the surface if there is not proper surface agitation but you won’t face it with this filter. Last but not least, you have the usability comfort. The SunSun 5-Stage External Canister Filter is actually very easy to put together and assemble if you follow the instructions on the manual, which is also very comprehensive. You could face an issue with the priming though. 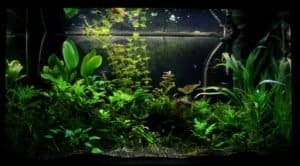 Unfortunately this filter doesn’t come with the best auto priming feature like Fluval FX6 or Fluval G6. Though they advertise it has self priming feature but most of the time that could disappoint you. Saying this from personal experience. That means you have to manually prime while setting up the filter for the first time. The instruction regarding this not up to the mark. So you best option should be youtube if you don’t have previous experience of priming a canister filter. Good thing is a few pump on the priming button is enough most of the times. What is the height of the filter with the hoses on? Answer: Height with the hoses on is about 22 inches. How’s the noise for a bedroom? Answer: It is very quiet, no doubt about that. But it does have that very consistent “hum”. You may only be able to catch it if you are a light sleeper. How many baskets on it? What is the length of the hoses? Answer: The hoses that come with the HW-304B Filter are all about 5 to 6 feet in length. But you need to remember the more high is your tank the less water flow you will get. Answer: It entirely depends on the species inside your tank and the bioload they produce. The more dirt and gunk your aquarium has, the faster the filter fills up. But as a rule of thumb, we recommend you check every four to six weeks to rinse the filter media using your aquarium water. And you need to change the filter foams when they are exhausted. Sometimes it easier to show the steps rather writing a long article to explain. So, here you go! A step by step video guide to install the Sunsun External Canister Filter. If you still face any difficulties or have further queries regarding this product please let us know in the comment section. We would be happy to help. And that, folks, was your entire and complete rundown of the SunSun-China HW-304B 5-Stage External Canister Filter. We, personally, think this filter is a winner of a product. It is versatile, very high performance and rather affordable its class and range. Although it isn’t entirely flawless, we think you can work around it over time. If you are looking for a great quality external filter without having to break the bank, the SunSun-China HW-304B Pro Canister Filter is a great place to start! We hope you found every detail and information you were looking for. Thank you so much for sticking with us and reading along. We will see you around soon. Adios!